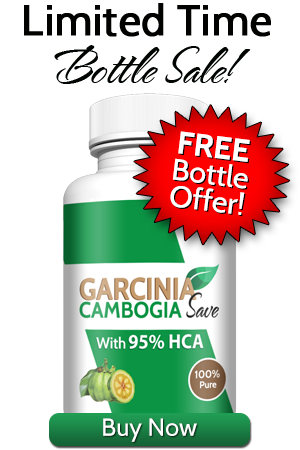 Garcinia Cambogia Save is a reseller of various vitamins and dietary supplements sold on www.garciniacambogiasave.com and other sites where these terms and conditions are posted (each, the “Site”), maintains this site for your personal information, education and communication. This Site is provided by Garcinia Cambogia Save, and these Terms and Conditions provide to you (identified herein as “you” or “user”) a personal, revocable, limited, non-exclusive, royalty-free, non-transferable license to use this Site conditioned on your continued compliance with these Terms and Conditions. If you are using the Site on behalf of a company or other business entity, please note that such a company or entity may have a separate agreement with Garcinia Cambogia Save. Nevertheless, your use will be subject to these Terms and Conditions. 1. Products, Content and Specifications. All features, content, specifications, products and prices of products and services described or depicted on this Web site, www.garciniacambogiasave.com (this “Web Site”), are subject to change at any time without notice. Certain weights, measures and similar descriptions are approximate and are provided for convenience purposes only. Garcinia Cambogia Save (Garcinia Cambogia Save, collectively, “we” or “us”), make all reasonable efforts to accurately display the attributes of products, including the applicable colors; however, the actual color you see will depend on your computer system, and we cannot guarantee that your computer will accurately display such colors. The inclusion of any products or services on this Web Site at a particular time does not imply or warrant that these products or services will be available at any time. It is your responsibility to ascertain and obey all applicable local, state, federal and international laws (including minimum age requirements) in regard to the possession, use and sale of any item purchased from this Web Site. By placing an order, you represent that the products ordered will be used only in a lawful manner. All videocassettes, DVDs and similar products sold are for private, home use (where no admission fee is charged), non-public performance and may not be duplicated. 5. Trademarks. Certain trademarks, trade names, service marks and logos used or displayed on this Web Site are registered and unregistered trademarks, trade names and service marks of Garcinia Cambogia Save and its affiliates. Other trademarks, trade names and service marks used or displayed on this Web Site are the registered and unregistered trademarks, trade names and service marks of their respective owners, including Garcinia Cambogia Save and its affiliates. Nothing contained on this Web Site grants or should be construed as granting, by implication, estoppel, or otherwise, any license or right to use any trademarks, trade names, service marks or logos displayed on this Web Site without the written permission of Garcinia Cambogia Save, or such other owner. 7. Third Party Links. 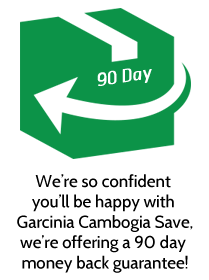 From time to time, this Web Site may contain links to Web sites that are not owned, operated or controlled by Garcinia Cambogia Save or their respective affiliates (including, but not limited to, drugstore.com). All such links are provided solely as a convenience to you. If you use these links, you will leave this Web Site. Neither we nor any of our respective affiliates are responsible for any content, materials or other information located on or accessible from any other Web site. Neither we nor any of our respective affiliates endorse, guarantee, or make any representations or warranties regarding any other Web sites, or any content, materials or other information located or accessible from any other Web sites, or the results that you may obtain from using any other Web sites. If you decide to access any other Web sites linked to or from this Web Site, you do so entirely at your own risk. 10. DISCLAIMERS. YOUR USE OF THIS SITE IS AT YOUR RISK. THE INFORMATION, MATERIALS AND SERVICES PROVIDED ON OR THROUGH THIS WEB SITE ARE PROVIDED “AS IS” WITHOUT ANY WARRANTIES OF ANY KIND INCLUDING WARRANTIES OF MERCHANTABILITY, FITNESS FOR A PARTICULAR PURPOSE, OR NON-INFRINGEMENT OF INTELLECTUAL PROPERTY. NEITHER Garcinia Cambogia Save NOR ANY OF THEIR RESPECTIVE AFFILIATES WARRANT THE ACCURACY OR COMPLETENESS OF THE INFORMATION, MATERIALS OR SERVICES PROVIDED ON OR THROUGH THIS WEB SITE. THE INFORMATION, MATERIALS AND SERVICES PROVIDED ON OR THROUGH THIS WEB SITE MAY BE OUT OF DATE, AND NEITHER Garcinia Cambogia Save, NOR ANY OF THEIR RESPECTIVE AFFILIATES MAKES ANY COMMITMENT OR ASSUMES ANY DUTY TO UPDATE SUCH INFORMATION, MATERIALS OR SERVICES. THE FOREGOING EXCLUSIONS OF IMPLIED WARRANTIES DO NOT APPLY TO THE EXTENT PROHIBITED BY LAW. PLEASE REFER TO YOUR LOCAL LAWS FOR ANY SUCH PROHIBITIONS.ALL PRODUCTS AND SERVICES PURCHASED ON OR THROUGH THIS WEB SITE ARE SUBJECT ONLY TO ANY APPLICABLE WARRANTIES OF THEIR RESPECTIVE MANUFACTURERS, DISTRIBUTORS AND SUPPLIERS, IF ANY. TO THE FULLEST EXTENT PERMISSIBLE BY APPLICABLE LAW, WE HEREBY DISCLAIM ALL WARRANTIES OF ANY KIND, EITHER EXPRESS OR IMPLIED, INCLUDING, ANY IMPLIED WARRANTIES WITH RESPECT TO THE PRODUCTS AND SERVICES LISTED OR PURCHASED ON OR THROUGH THIS WEB SITE. WITHOUT LIMITING THE GENERALITY OF THE FOREGOING, WE HEREBY EXPRESSLY DISCLAIM ALL LIABILITY FOR PRODUCT DEFECT OR FAILURE, CLAIMS THAT ARE DUE TO NORMAL WEAR, PRODUCT MISUSE, ABUSE, PRODUCT MODIFICATION, IMPROPER PRODUCT SELECTION, NON-COMPLIANCE WITH ANY CODES, OR MISAPPROPRIATION. WE MAKE NO WARRANTIES TO THOSE DEFINED AS “CONSUMERS” IN THE MAGNUSON-MOSS WARRANTY-FEDERAL TRADE COMMISSION IMPROVEMENTS ACT. THE FOREGOING EXCLUSIONS OF IMPLIED WARRANTIES DO NOT APPLY TO THE EXTENT PROHIBITED BY LAW. PLEASE REFER TO YOUR LOCAL LAWS FOR ANY SUCH PROHIBITIONS. BY USING THIS WEBSITE, YOU ALSO AGREE TO OUR RETURN POLICY. 11. LIMITATIONS OF LIABILITY. Garcinia Cambogia Save does not assumes any responsibility, or will be liable, for any damages to, or any viruses that may infect, your computer, telecommunication equipment, or other property caused by or arising from your access to, use of, or browsing this Web Site, or your downloading of any information or materials from this Web Site. IN NO EVENT WILL Garcinia Cambogia Save, OR ANY OF THEIR RESPECTIVE OFFICERS, DIRECTORS, EMPLOYEES, SHAREHOLDERS, AFFILIATES, AGENTS, SUCCESSORS OR ASSIGNS, NOR ANY PARTY INVOLVED IN THE CREATION, PRODUCTION OR TRANSMISSION OF THIS WEB SITE, BE LIABLE TO YOU OR ANYONE ELSE FOR ANY DIRECT, INDIRECT, SPECIAL, PUNITIVE, INCIDENTAL OR CONSEQUENTIAL DAMAGES (INCLUDING, WITHOUT LIMITATION, THOSE RESULTING FROM LOST PROFITS, LOST DATA OR BUSINESS INTERRUPTION) ARISING OUT OF THE USE, INABILITY TO USE, OR THE RESULTS OF USE OF THIS WEB SITE, ANY WEB SITES LINKED TO THIS WEB SITE, OR THE MATERIALS, INFORMATION OR SERVICES CONTAINED ON ANY OR ALL SUCH WEB SITES, WHETHER BASED ON WARRANTY, CONTRACT, TORT OR ANY OTHER LEGAL THEORY AND WHETHER OR NOT ADVISED OF THE POSSIBILITY OF SUCH DAMAGES. THE FOREGOING LIMITATIONS OF LIABILITY DO NOT APPLY TO THE EXTENT PROHIBITED BY LAW. PLEASE REFER TO YOUR LOCAL LAWS FOR ANY SUCH PROHIBITIONS.IN THE EVENT OF ANY PROBLEM WITH THIS WEB SITE OR ANY CONTENT, YOU AGREE THAT YOUR SOLE REMEDY IS TO CEASE USING THIS WEB SITE. IN THE EVENT OF ANY PROBLEM WITH THE PRODUCTS OR SERVICES THAT YOU HAVE PURCHASED ON OR THROUGH THIS WEB SITE, YOU AGREE THAT YOUR SOLE REMEDY, IF ANY, IS FROM THE MANUFACTURER OF SUCH PRODUCTS OR SUPPLIER OF SUCH SERVICES, IN ACCORDANCE WITH SUCH MANUFACTURER’S OR SUPPLIER’S WARRANTY, OR TO SEEK A RETURN AND REFUND FOR SUCH PRODUCT OR SERVICES IN ACCORDANCE WITH THE RETURNS AND REFUNDS POLICIES POSTED ON THIS WEB SITE. 13. Choice of Law; Jurisdiction. These Terms and Conditions supersede any other agreement between you and Garcinia Cambogia Save to the extent necessary to resolve any inconsistency or ambiguity between them. These Terms and Conditions will be governed by and construed in accordance with the laws of the Commonwealth of Utah, without giving effect to any principles of conflicts of laws. Any action seeking legal or equitable relief arising out of or relating to this Web Site will be brought only in the federal or state courts of the Commonwealth of Utah. A printed version of these Terms and Conditions will be admissible in judicial and administrative proceedings based upon or relating to these Terms and Conditions to the same extent and subject to the same conditions as other business documents and records originally generated and maintained in printed form. 15. Health Related Information. The information contained in the Web Site is provided for informational purposes only and is not meant to substitute for the advice provided by your doctor or other health care professional. You should not use the information available on or through the Web Site (including, but not limited to, information that may be provided on the Web Site by healthcare or nutrition professionals employed by or contracting with Garcinia Cambogia Save) for diagnosing or treating a health problem or disease, or prescribing any medication. Information and statements regarding dietary supplements have not been evaluated by the Food and Drug Administration and are not intended to diagnose, treat, cure, or prevent any disease. You should read carefully all product packaging prior to use. The Information should not be considered complete and does not cover all health issues. Garcinia Cambogia Save, does not recommend the self-management of health problems nor does it endorse any particular type of medical treatment. The Information should not be used in place of a visit with, call to, consultation or advice from your physician or other health care provider. If you suspect you have a medical problem, or should you have any health care related questions, please promptly call or see your physician or other health care provider. You should not conclude by virtue of something you have read on this Site or in response to your inquiries or questions that you do not need to consult a health care professional. Never disregard medical advice or delay in seeking medical advice or treatment as a result of something you read on this Site or as a result of the answer to any of your e-mail inquiries. You accept full responsibility for any and all health related issues related to our products. 16. Indemnity. You agree to indemnify and hold Garcinia Cambogia Save and our parents, affiliates (and their franchisees and licensees), and subsidiaries, officers, directors, employees, successors and assigns, harmless from any claim, loss or demand, including reasonable attorneys’ fees, made by any third party due to or arising out of your use of our Web Site, your connection to our Web Site, your violation of these Terms and Conditions, or your violation of any rights of another party. This indemnity survives termination of these Terms and Conditions. 19. Additional Assistance. If you do not understand any of the foregoing Terms and Conditions or if you have any questions or comments, we invite you to contact us at Garcinia Cambogia Save – 8750 S Sandy Pkwy, STE E, SANDY UT 84070.